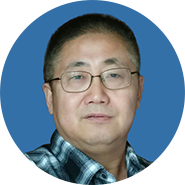 Haikun Shi, is the Chief Medical Officer of Teclison limited in China. He served as a Senior Medical Director of Express Scripts/UBC, a Medical director of drug safety in the Hoffmann-La Roche Inc., an Associated Medical Director of Translational Medicine in the Roche Innovation Center, New York, of Hoffmann-La Roche, an instructor of Internal Medicine of University of Washington, an instructor of Internal Medicine of New York Medical College and fully certified in US USMLE. He conducted oncology research as a post-doctoral fellow in the Weizmann Institute of Science in Israel. He received a MD/PhD degree from Beijing Medical University in 1995.